I never thought I’d see the day I’d root for the Empire. 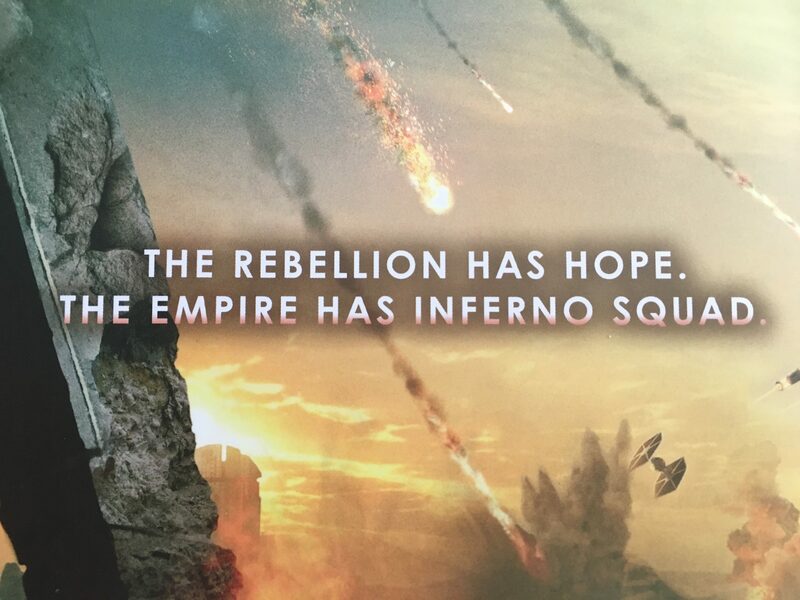 In the aftermath of the destruction of the Death Star, it was no surprise that the Rebellion was seen as a much bigger threat than they were before. Finding the leaks, taking out the cells, became a top priority. 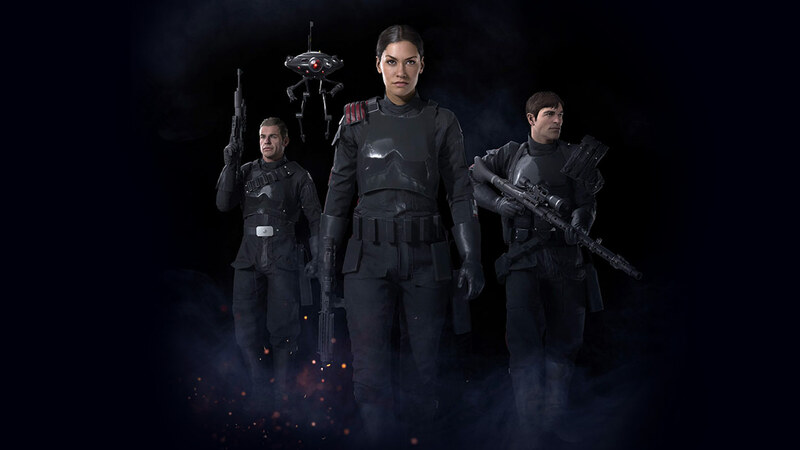 And one of the few Imperial survivors of the Death Star attack, Iden Versio is recruited by her father to become part of a specialized squadron dedicated to ferreting out any possible threat to the Empire. They are Inferno Squad. Four top notch recruits showing exceptional talent in different areas become the backbone of the squad. It’s mission was summarized by Admiral Garrick Versio, “We have plans from the very grand to the very intimate. And the latter is where the four of you come in.” Del Meeko, repair specialist can fix practically anything. Seyn Marana, Naval intelligence with an eidetic memory and a crack shot. Gideon Hask, warrior and highly decorated coming from a long line of officers. And Iden Versio, top fighter pilot and strategically minded. Together, they are sent on a mission to take down what’s left of Saw Gerrera’s partisans – now calling themselves the Dreamers. 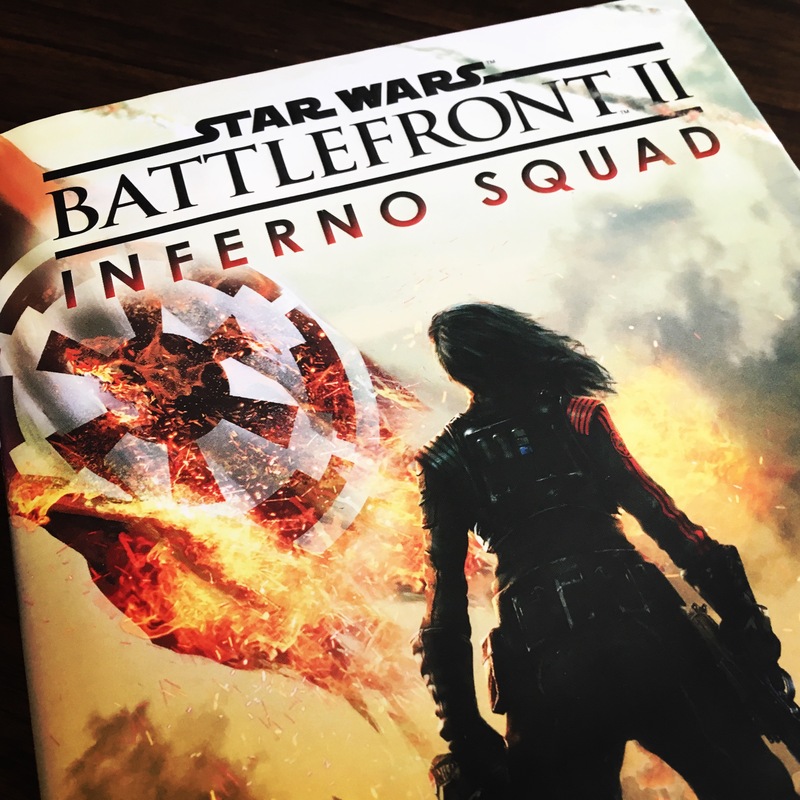 Christie Golden puts together another intriguing and action-packed tale with Battlefront II: Inferno Squad. As she did in Dark Disciple, she shows her strength in writing strong, intelligent women who can more than handle themselves in any situation. Interestingly, she again writes about a female character from the “other side of the tracks” and shows life from her point of view. The book is a page turner and Christie does a great job of keeping you in suspense. Will Inferno Squad be able to keep their cover under this kind of intense pressure? How are the Dreamers getting the information they have received? Who is the mysterious Master of the Dreamers? Christie drops hints about his identity throughout the book, but I still couldn’t figure it out (I’m sure there are some of you out there better versed in Star Wars knowledge who might). The one flaw in the book is how rapidly it came to a conclusion. It was almost as if Christie just needed to wrap things up. How Inferno Squad discovered the answers to their quest could have occurred at almost any point in the book (and if not, then it wasn’t explained why not). Their ultimate solution wasn’t one of finesse or intricacy. Instead it was blunt and almost too much to the point. And there were a few questions that were introduced and never really explained. Perhaps they are being covered in the game itself, but it doesn’t seem like it will be. Still, I was impressed by the fluidity of the story, the strong narrative by Christie, and how well she did wrestling with the moral dilemmas of serving a vile dictatorship like the Empire. Christie also did a nice job balancing the “right” and “wrong” aspects of each group and made you think about what makes us who we are. And it never felt like a prequel for a game. Instead it felt like any other novel set in the Star Wars universe. Overall, this is a great addition to the Star Wars universe and well worth reading. Christie once again weaves a tale worthy of the name of Star Wars.